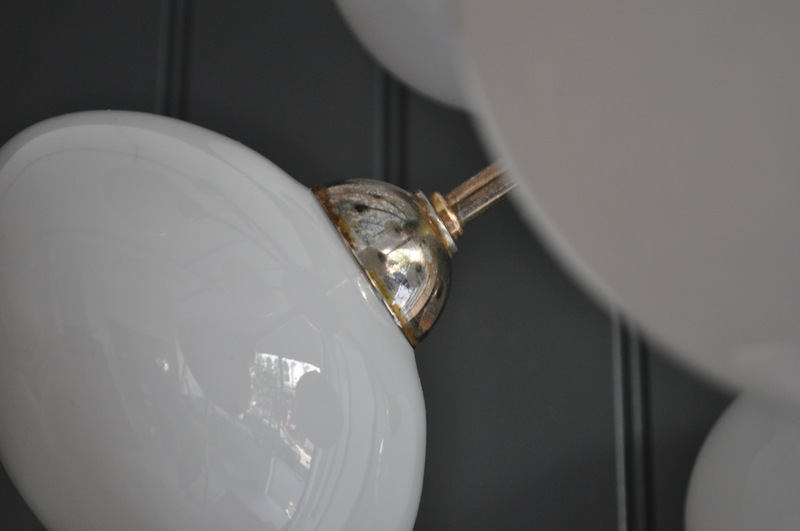 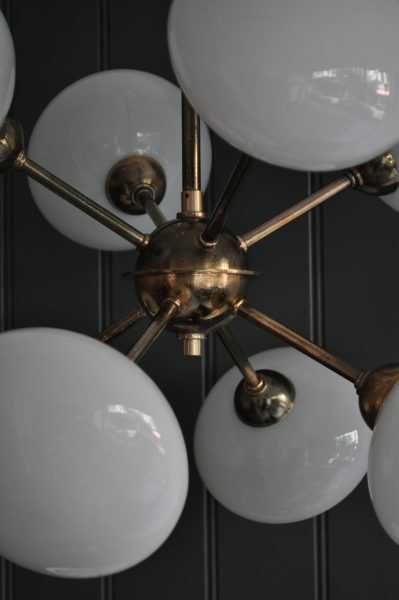 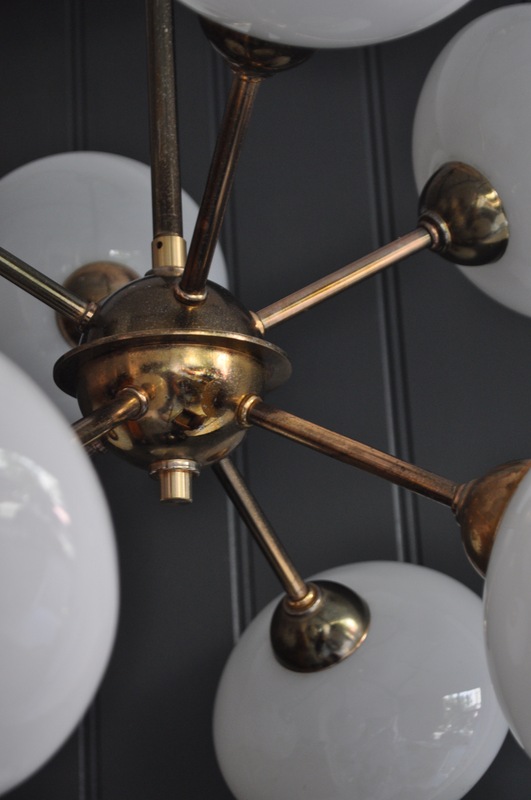 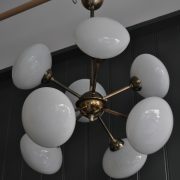 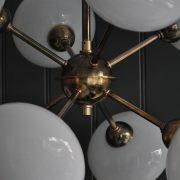 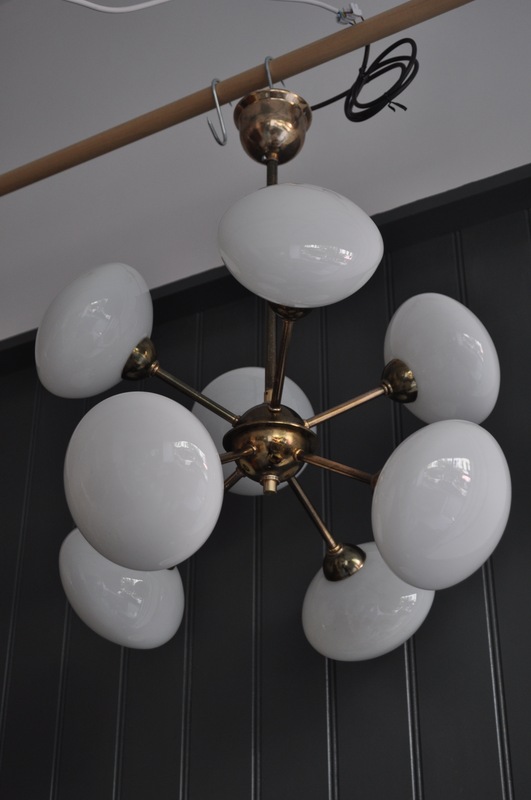 Stylish sputnik chandelier, with eight opaline shades. 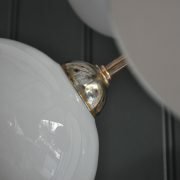 Lovely condition, with no knocks or chips to the glass, and appealing patination to the metal. 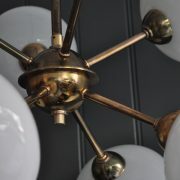 Newly rewired and accepts small ES pigmy bulbs.